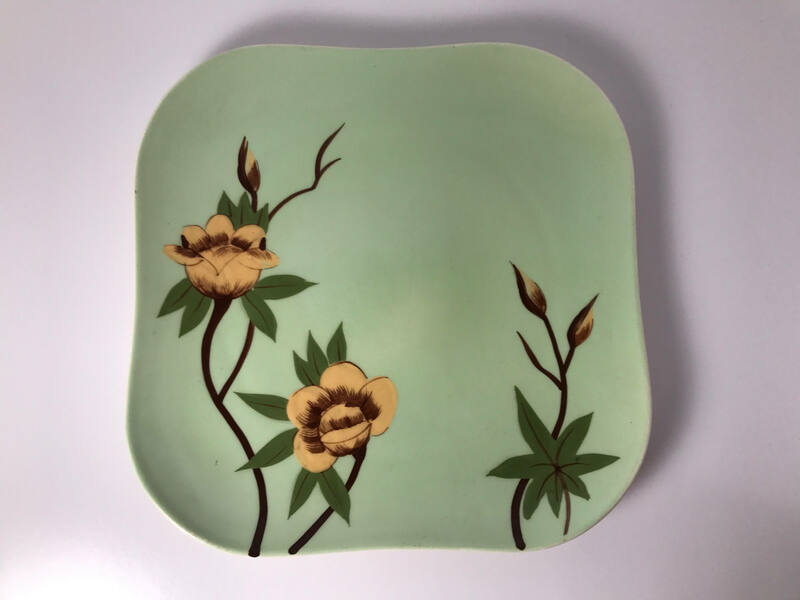 Hand decorated yellow rose green dinner plate from Weil Ware of California. 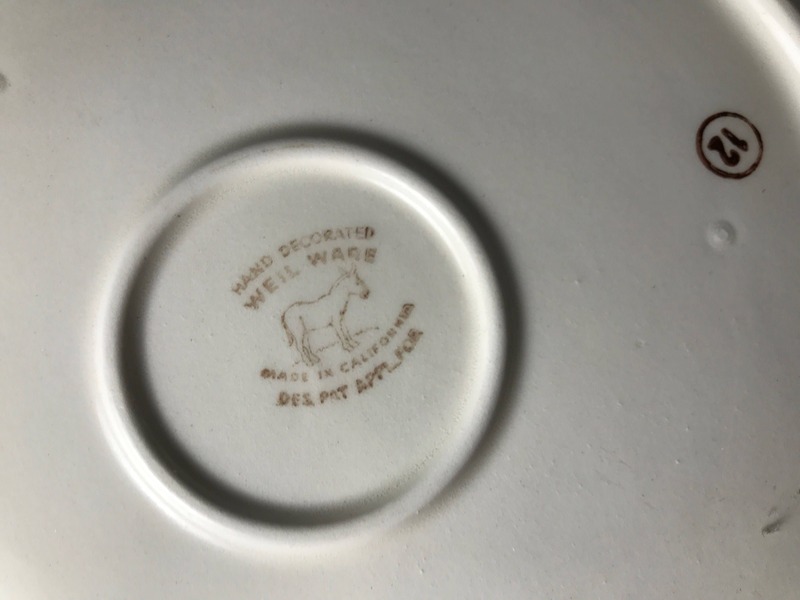 Weil was founded in 1940s by Max Weil, and made figurines and hand painted dinnerware like this plate. 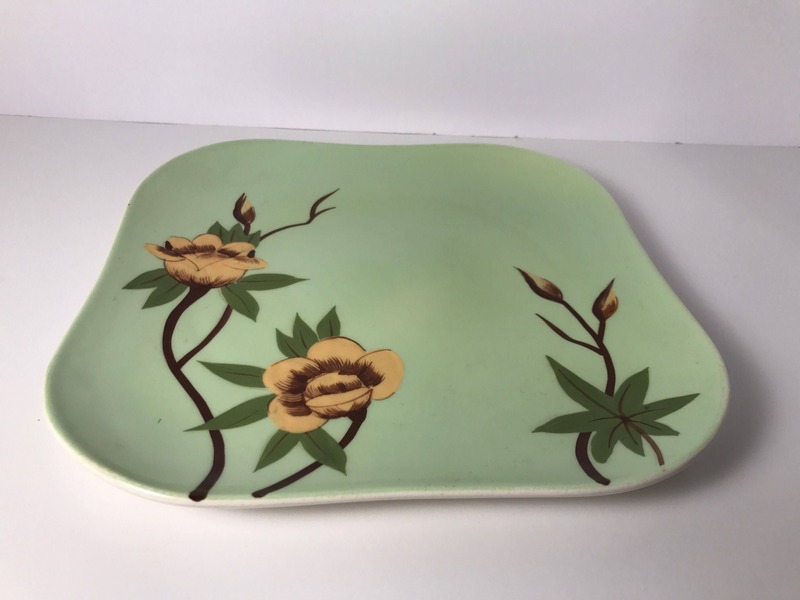 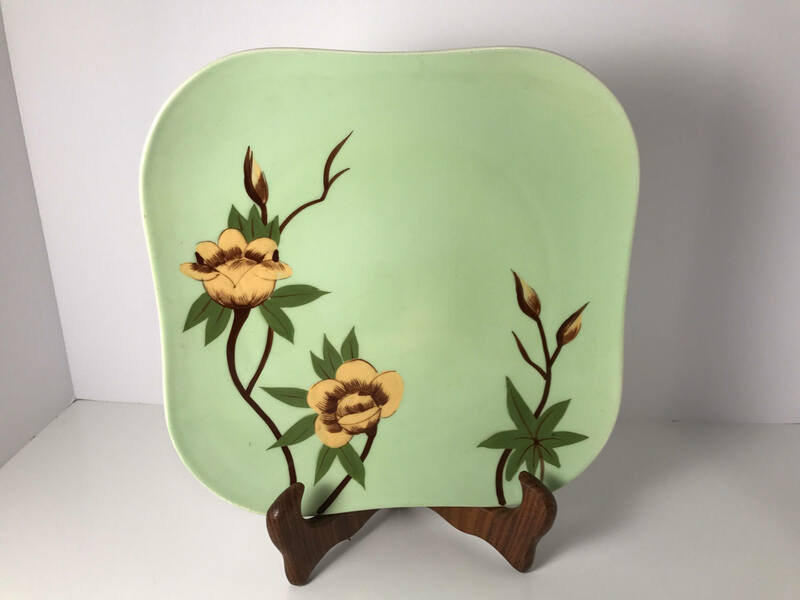 Very refreshing after the austerity of WWII, and very mid century modern with the square plate with rounded corner and the abstract floral pattern. 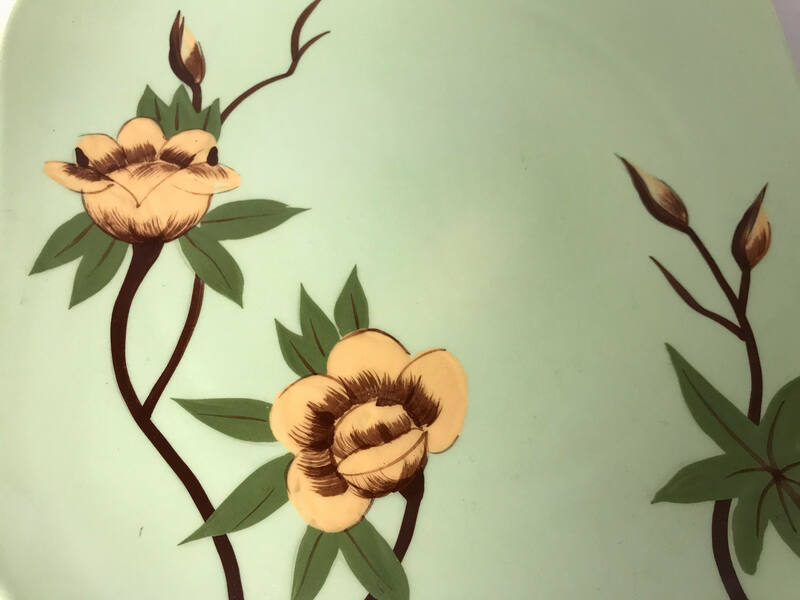 These are great mix and match settings, since Weil did a number of similar coordinated patterns. 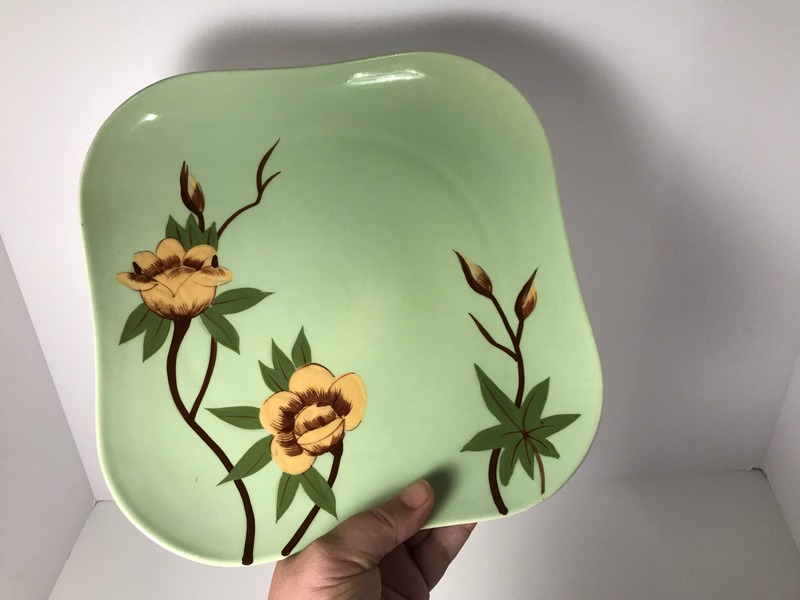 The California potteries flourished, mainly in the Los Angeles area, from the thirties through the fifties, losing ground in the sixties to cheap imports. 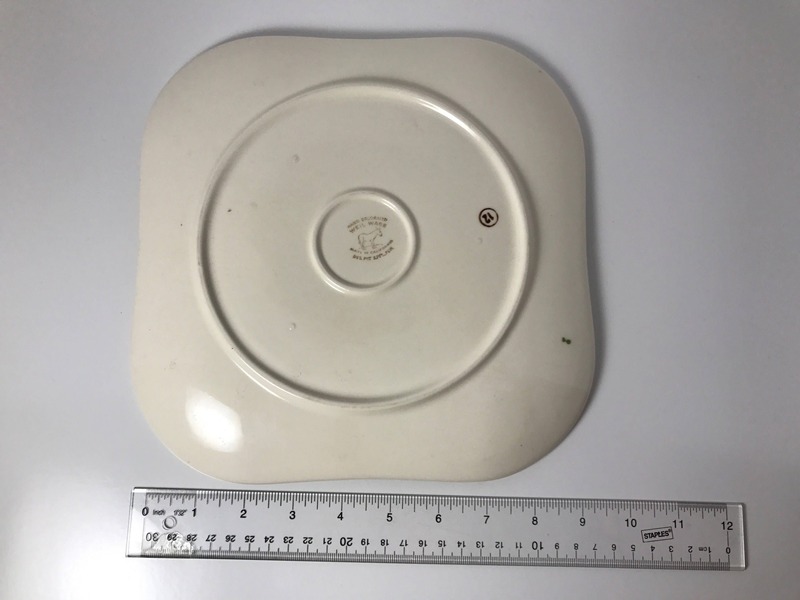 CONDITION: Very good, but there is some scratching in the surface of the glaze since the plate was clearly used regularly as a dinner plate.